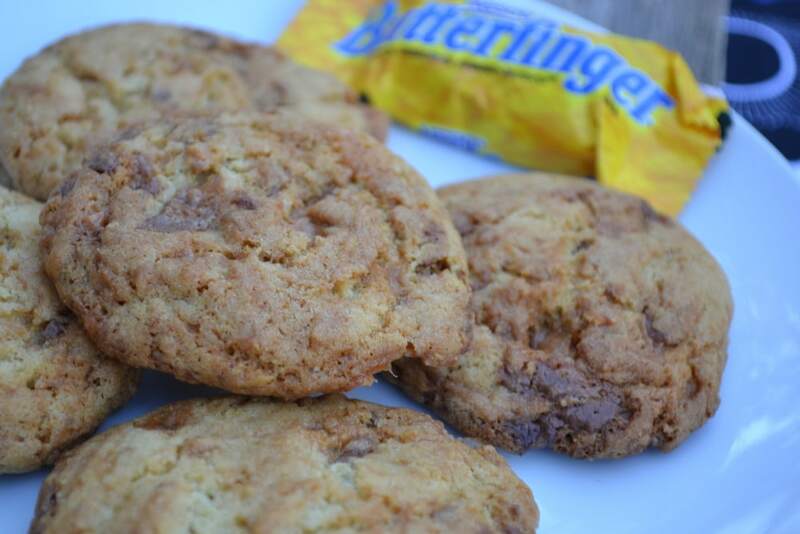 Nobody better lay a finger on my Butterfinger Cookies. 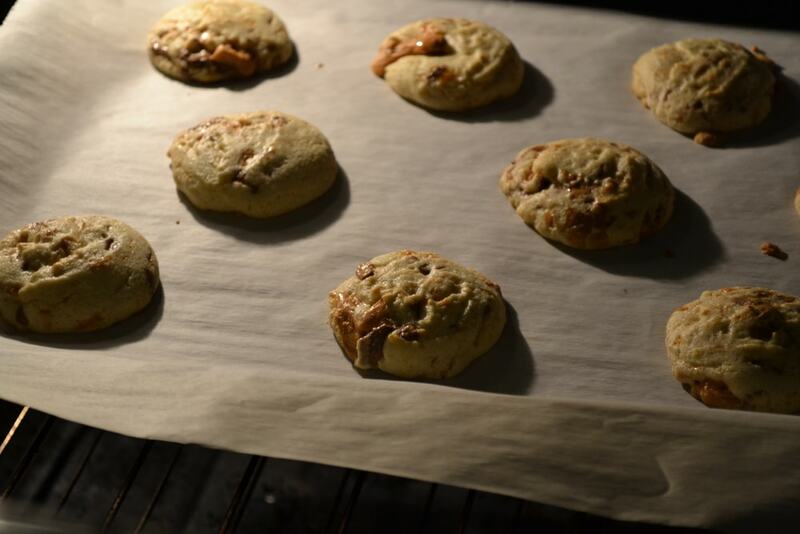 This recipe uses a classic candy to really make a fantastic cookie! Halloween Candy is everywhere and soon to be flowing out of my kids trick or treat bags like niagra falls. I don’t want my kids eating all of that junk so hubby and I have the difficult job of going though the candy and taking what they really don’t need. It is a horrible job that I would never wish on anyone. LOL In all seriousness we do limit candy at our house, but we do enjoy a treat every now and then. Butterfinger is almost always my hubby’s first pick, so I thought I would surprise him with these goodies tonight. 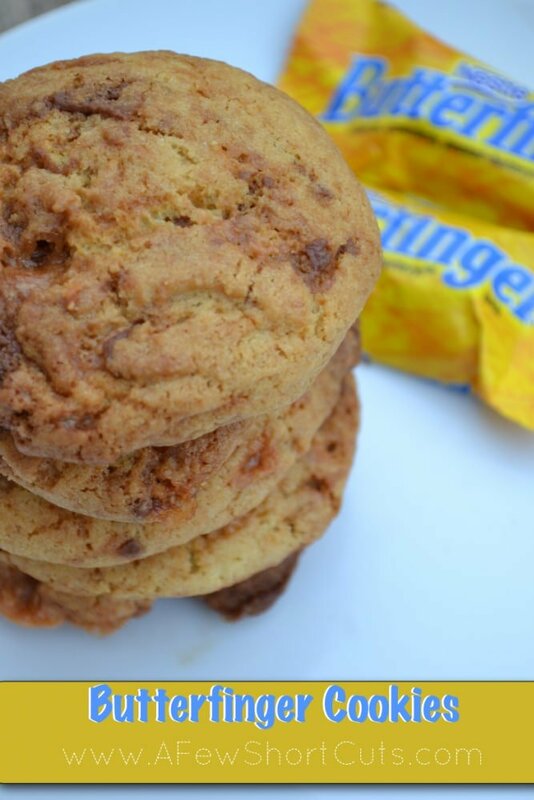 These Butterfinger cookies are not only quick to throw together but they are a warm chewy peanutbuttery chocolate ball of yum! I personally could just eat the dough, although I know I shouldn’t. So if you are looking for a special gooey treat that is not necessarily waistline friendly these are for you. Combine flour, baking soda, and salt in small bowl and set aside. With your electric mixer, beat sugar and butter until fluffy and creamy. Add in egg until just combined. Then gradually beat in flour mixture until dough forms. Drop by slightly rounded tablespoonfuls onto parchment lined baking sheet. 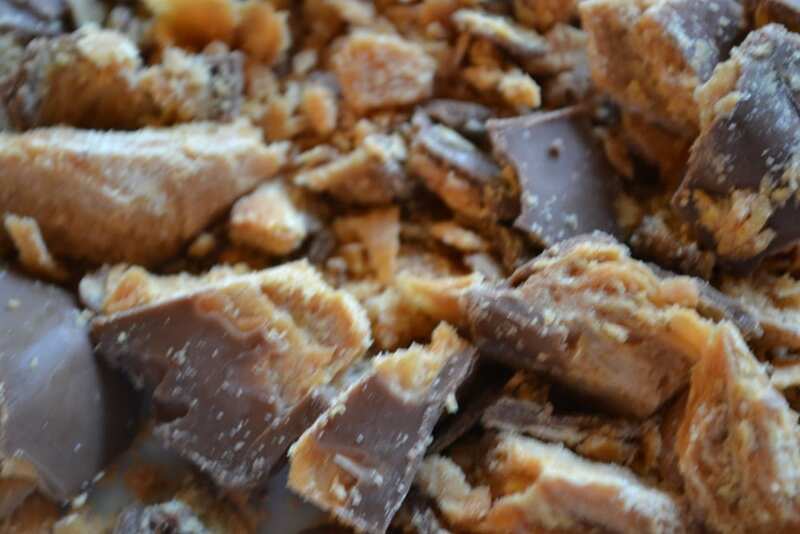 First things first preheat the oven to 375 F and chop those butterfingers. If you don’t sample a few bites your not human. 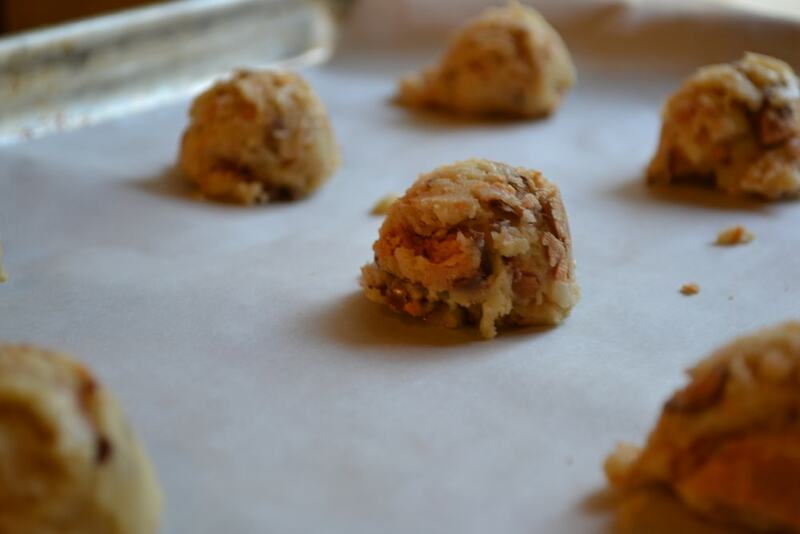 Mix the dough according to the recipe above and drop by tablespoonfuls on a parchment lined cookie sheet. Two things that always make cookie baking ten times easier; a cookie scoop and parchment paper!